5 ""Introduction to Black feminism"
Jonathan Stith is a founding member and National Coordinator for the Alliance for Educational Justice, a national network of intergenerational and youth-led organizations working to end the school-to-prison pipeline.He has 20 years of experience working with youth and community organizations to address social inequities. As the former Executive Director of the Youth Education Alliance (YEA), he was a critical leader in the School Modernization Campaign that won 3.2 billion dollars for school renovation and repair in the District. He was also a steering committee member of the Justice for DC Youth Coalition that successfully organized youth and their families to win critical juvenile justice reforms in the District. Let Your Motto Be Resistance! Why Folks Are Saying We Will Shoot Back Darasia Selby-Adebisi: Malcolm X Grassroots Movement Philly Chapter, Jamal P. Oliver: Malcolm X Grassroots Movement NY Chapter, Jonathan Stith: Malcolm X Grassroots Movement DC Chapter, Sanyika Bryant: Malcolm X Grassroots Movement Oakland Chapter, Taliba Obuya: Malcolm X Grassroots Movement Atlanta Chapter . Those invited, on Facebook included Jonathan Stith. 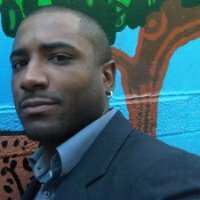 Those indicating they would attend on Facebook included Jonathan Stith. With Hiram Rivera Marcano, Maria C. Fernandez and Jonathan Stith. With Maria C. Fernandez and Eric Tang. This page was last modified on 25 November 2018, at 11:55.